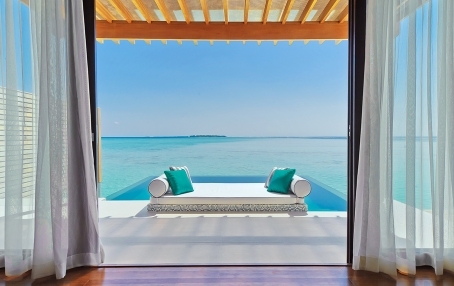 For all devotees of beautiful beaches, tropical sun and warm sea Maldives are just the place. 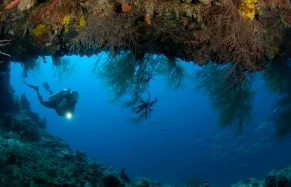 But the greatest treasures of this island country are hidden beneath the waves. Allow yourself to be taken for an underwater ride—without the scuba gear. Most of the twelve-hundred-or-so islands are surrounded by coral reefs—living gardens that are a riot of fish, gorgonian corals and colourful sponges growing just beneath the surface of the ocean. Home to hundreds of species of fish, timid reef sharks, stingrays, sea turtles and crustaceans, the waters around the envy-inducing postcard islands are host to some of the best dive sites snorkeling locations in the world. If you are not a diver however, or if snorkelling is not quite your thing then unfortunately you are going to be missing out on the underwater experience. This is true unless you choose to stay at Conrad Maldives Rangali Island. 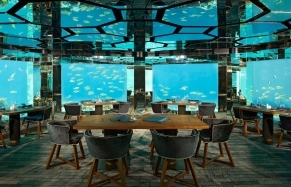 Only here the hotel guests can experience the underwater world without the scuba gear—thanks to the hotel’s unique submarine. The waters around Rangali island are rich in marine life but guests who can’t swim have had to miss out. Not so anymore. 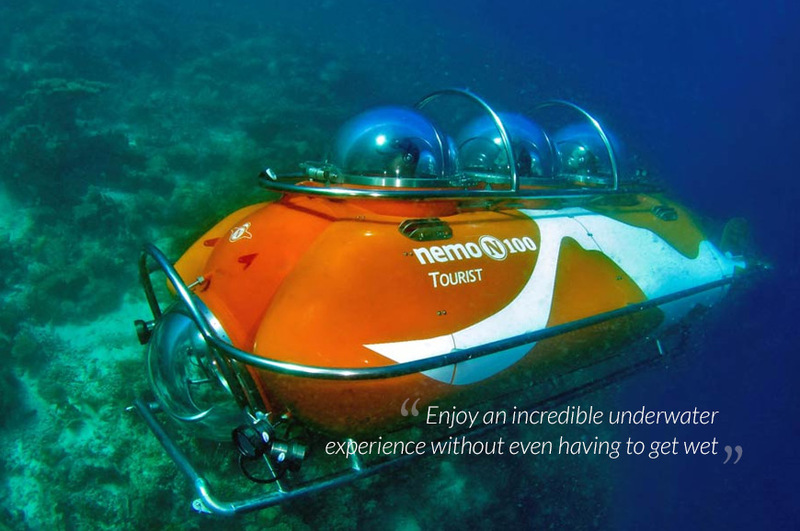 The orange-white stripes make the three-person Nemo sub look like a giant clown fish from the Disney film. Built in Germany by Nemo Tauchtouristik, the vessel is able to dive up to 30 metres. Steered by a qualified pilot, the craft can take two passengers for a 30-minute rides. Cost of the ride: around USD500 for two persons.